I wanted to share this adorable Christmas 🎄 card that I c.a.s.e.d from April Sarandrea on Pinterest. It's sooooo cute and I just adore the Merry Cafe Stamp Set/Bundle from the Holiday Catalog 2017. 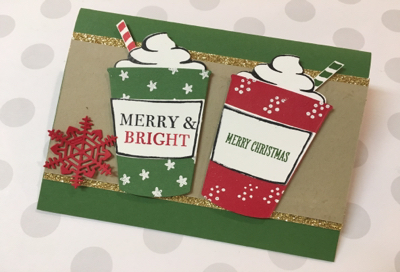 Labels: Christmas , Christmas Card , Coffee , Handmade Cards , Merry Cafe Bundle , Stampin' Up!